RASUWA, Aug 5: A total of 6,694 Chinese Tourists have visited Nepal via the northern Rasuwagadhi Transit point from January 1 till July 16 this year. This is the third year the Chinese tourists started to come to Nepal via the route. The route was upgraded to an international crossing point in August 2017, allowing third country tourists to use the route to enter and leave the country. 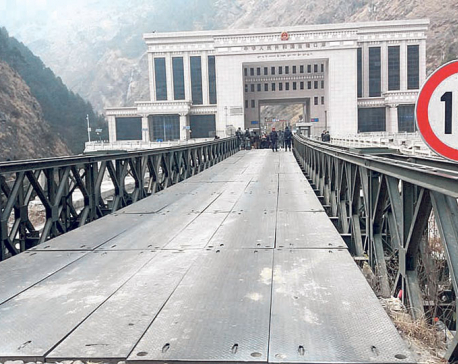 Apart from the Chinese, a small number of third country tourists have also used this crossing point to enter Nepal, according to the records at Immigration Office, Rasuwagadhi. The tourists entering via the route mainly go to Kathmandu and Pokhara, according to Man Bahadur Baral, information officer at the office. A total of 1,730 tourists from the northern neighbor visited Nepal via the route in April alone, which is the highest monthly figure so far. The country’s bilateral trade with China started from December 2014 after the route of Tatopani was affected by landslides. Five months later, the devastating earthquake of 2015 made further damages on the Tatopani route, and the Syaphrubeshi Rasuwagadhi route was left as the only option for bilateral trade and transit point since then. The Rasuwagadhi route came into use following some repair works. The government has expedited the works of expanding the road into standard double-lane highway, and works have already started. A total of 4,961 Chinese tourists traveled to Nepal via the route in 2016, while the number was 17,620 in 2017. A total of 82 third country travelers came via this route in the year, according to the Immigration Office. The third country tourists mostly included Swedish and American citizens. The Government of Nepal has provided gratis visa for the Chinese tourists. Immigration officials at Rasuwagadhi informed that they are issued on-arrival visa with a validity period of a month. However, about 90 percent of the Chinese visitors have been obtaining visa from Nepal’s diplomatic missions based in Lhasa and Guangzhou. Chief of Rasuwagadhi Immigration Office, Manoj Kumar Pokhrel, informed that they can issue visa of up to 150-day validity for the Chinese citizens, but they generally request for 30 days only. According to official records, Chinese tourists spend about 14 days in Nepal in average. 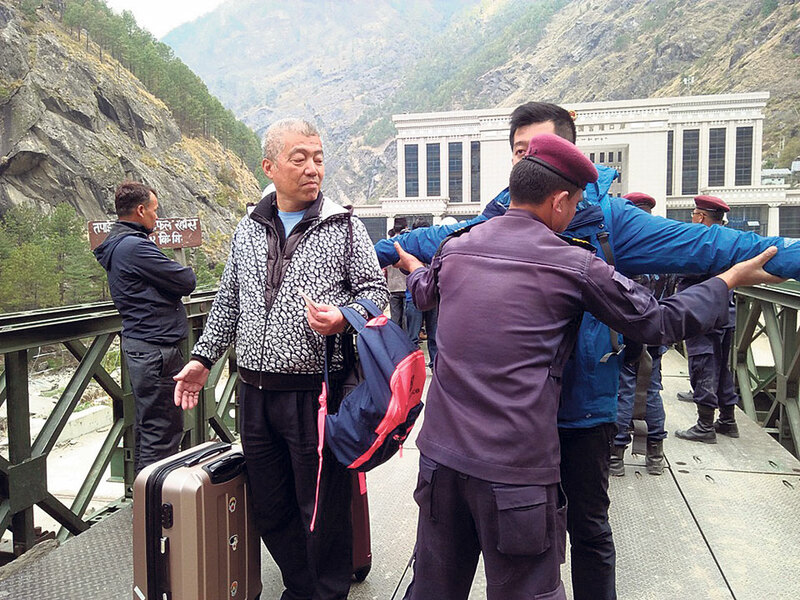 Immigration officials suspect that there are some Chinese tourists coming to Nepal under gratis visa but doing business here. Approximately 20 to 25 Chinese tourists enter via the point every day, according to officials.